Suppose that a validly-ordained Catholic priest uses the correct formula for consecrating the bread and wine during a Catholic Mass. Is it nevertheless possible for this attempted consecration of the Eucharist to be invalid? Yes, it is possible. There are a number of conditions that are essential for any Sacrament to be valid. This article considers the requirement of intending to do what the Church does. “Canon XI. If any one says that, in ministers, when they effect and confer the sacraments, there is not required the intention at least of doing what the Church does; let him be anathema.” (Council of Trent, Seventh Session, Decree on the Sacraments). If a Catholic priest, when he says the proper formula for the consecration of the Eucharist over the proper matter (wheat bread and grape wine), does not intend to do what the Church does, then the consecration is invalid, and the bread and wine remain mere bread and wine. Now a priest who is a heretic can nevertheless possibly dispense a Sacrament validly, but only if all the essential conditions for validity are met, just as for any priest, including the intention to do what the Church does. “CANON IV. If any one says that the baptism which is even given by heretics in the name of the Father, and of the Son, and of the Holy Spirit, with the intention of doing what the Church does, is not true baptism; let him be anathema.” (Council of Trent, Seventh Session, Decree on the Sacraments). So the question arises as to what would constitute a failure to intend to do what the Church does, on the part of a Catholic priest attempting to consecrate the bread and wine. One such failure would be a heresy on the Eucharist. If the priest adheres to a heresy on the Eucharist, particularly on its consecration, on transubstantiation, or on the Real Presence of Christ in the Eucharist, then he does not intend to do what the Church does. His attempted consecration would therefore be ineffective and invalid. The bread would remain bread; the wine would remain wine. Unfortunately, it is well attested that a large percentage of lay Catholics, even those who regularly attend Mass, do not believe in the Real Presence of Christ in the Eucharist. They think of the host as merely a symbol. They believe neither in transubstantiation, nor in the real presence of Christ’s body, blood, soul, and Divinity, in the Sacrament. For them, it is essentially not a Sacrament. For although Sacraments include symbols, they are never mere symbols. This failure to believe on the part of many laypersons is a grave heresy. All Catholics who know what the Church definitively teaches on the Eucharist, and yet who reject that teaching, are guilty of formal heresy and are automatically excommunicated. If a priest were to hold to such a heresy, believing that the bread and wine are unchanged at the consecration, or that there is no Real Presence of Christ, as the Church teaches, then he does not validly consecrate the Eucharist. He also thereby commits the grave sin of formal heresy, is automatically excommunicated, and is moreover guilty of sacrilege and scandal for continuing to pretend to consecrate the Eucharist and for continuing to pretend to say Mass. The harm done by this set of sins is inestimable. Is this possibility merely theoretical? No, it is not. The priests of the Church come from the laity. Whenever there is a sin of any kind among the laity, it is also found among the priests (though hopefully to a much lesser extent). It is not unheard of for a priest to publicly reject the infallible teaching of the Church on abortion, on contraception, on women’s ordination, on gay marriage, and on many other topics. And so it is certain that at least some priests in the world hold to this heresy on the Eucharist, a heresy very popular among the laity. But there are other heresies on the Eucharist that would also make any attempted consecration, by a priest who holds to that heresy, invalid. Suppose that the priest does not believe that the substance of the bread changes into the substance of Christ’s body, nor that the substance of the wine changes into the substance of Christ’s blood. Suppose he instead believes that the substances of the bread and wine are annihilated (cease to exist; return to nothing). By adhering to this grave heresy, he does not intend to do what the Church does when he attempts the consecration. For the Church intends that the substances of bread and wine are changed into the substance of Christ’s body and blood; this is the infallible teaching of the Council of Trent. By adhering to the aforementioned heresy, a priest is unable to validly consecrate the Eucharist. He cannot intend to do what the Church does in the consecration, if he does not believe in the true dogma of transubstantiation. This heretical error on the Eucharist, claiming that the substances of bread and wine are annihilated (cease to exist; return to nothing) is taught by Jimmy Akin. By believing and teaching this heresy, in direct contradiction to the infallible teaching of the Council of Trent, Akin commits the sin of formal heresy, and he falls under the anathema of the Council of Trent, and he has thereby automatically excommunicated himself. He also commits the grave sins of scandal and of teaching heresy. Do any priests adhere to this heresy? It is entirely possible that some priests adhere to his heresy on the Eucharist. Akin is a prominent Catholic author and speaker; he is Senior Apologist for Catholic Answers and columnist/blogger for National Catholic Register. Although every priest should know better than to believe in such a grave heresy, it is manifest that there are many priests in the Church today who are weak in faith and strong in sin. There are many priests who commit grave sins, including various sins of heresy. (1) He rejects the change of substance at the consecration, instead saying that the substances of bread and wine are annihilated, cease to exist, return to nothing. (2) He also claims that “the substance of Christ’s body, blood, soul, and divinity become present” by multi-location. (2) that the rest of Christ, in each species, becomes present by concomitancy. So in the teaching of the Council of Trent, two modes bring about the full Real Presence of Christ: change of substance and concomitancy. But, in the heresy of Akin, all of Christ becomes present in the same way, by multi-location, that is, by mere replacement once the substances of bread and wine are (supposedly) annihilated. If a Catholic priest were to adhere to Akin’s heresy, to either or both parts of it, that priest would not validly consecrate the Eucharist. How is it that Jimmy Akin can teach such a blatant severe heresy about the consecration of the Most Blessed Sacrament (without which consecration there is no Mass), and do so openly, cheerfully, without remorse, and yet remain so well-accepted by Catholics who consider themselves to be faithful and devout? How is it that Catholic Answers and the National Catholic Register continue to employ him, in positions which he uses to teach his heretical errors to others? The reason is not particular to Akin. It is astounding that such severe abject heresy can be taught openly, with little or no objection from the vast majority of Catholics, even those Catholics who say that they adhere to the teachings of the Magisterium. Truly, the foundation for the great apostasy predicted by Sacred Scripture has already been laid; it is dry and ready to be built upon. In another example of heresy on the Eucharist, Mark Shea teaches that the molecules of bread and wine do not change at the consecration of the Eucharist. This claim is heretical because bread and wine are material objects; they are made of nothing but molecules. When God created the Universe, He created a two-fold order: material and spiritual. The molecules are of the material order. But each order has its accidents and substance. The human nature of Christ (and of each human person) is of both orders: the body is material and the soul is spiritual. The body has accidents and substance; the soul has accidents and substance. Accidents and substance are not two separate things, but rather a way of dividing a thing into non-essentials and essentials, into the qualities of a thing and the thing itself. The accidents are any qualities of a thing that, if changed, do not cause the things to become something else; they are non-essential. The substance is not a quality of the thing, but rather whatever is essential to a thing; it is the thing itself, apart from particular non-essential qualities. If the substance changes, the thing changes into some other type of thing. Accidents cannot exist without substance, since accidents are not the thing itself, but only qualities of the thing. Substance, in created things, does not exist without accidents; for God has ordained that created things have various changeable qualities. Only the Divine Nature is unchanging substance without accidents. So the bread and the wine are not comprised of molecules and substance, for this would imply that the molecules are merely accidents. If so, then all the molecules of bread and wine (supposedly the accidents) could be taken away, and what was left would still be bread and wine (the substance) — which is absurd. A material object is its molecules. The molecules are not solely accidents, nor solely substance. The division of a thing into accidents and substance means that the molecules are comprised of accidents and substance. This philosophical distinction cannot be separated from the physical object, whether it is bread and wine, or body and blood. The distinction applies to physical things, and also to spiritual things (the human soul, the angelic spirit). And if the molecules of bread and of wine were entirely accidents, what would the substance be? Would it be some other material thing in addition to the bread and wine? But the bread and wine that are used are ordinary, mere material objects. Would it be something other than material or spiritual? But Creation has two orders, material and spiritual, not three or more. The term substance is a way of describing the essential nature of the bread and of the wine (or of any material or spiritual thing). It is not an entirely separate thing from the physical molecules of bread or of wine. The Magisterium teaches that the substance of the bread and the substance of the wine change, but the accidents remain the same. The claim that the molecules do not change at all in the consecration implies that either the molecules are entirely accidents, without substance, which is false and absurd, or that there is no change of substance, which is heresy. Although he apparently does not realize it, Mark Shea’s assertion implies heresy. He thinks that he can assert that the molecules do not change at the consecration, and yet also assert that the substance does change. But these two claims are incompatible; adhering to the former, implies a rejection of the latter. More on this point. How do teachers of heresy, like Mark Shea and Jimmy Akin, convince Catholics to believe their errors? They claim that what they teach is the teaching of the Church. For example, Mark Shea says: “The Church has always taught that it remains bread and wine ‘at the molecular level.’ ” Now whatever the Church “has always taught”, on any important matter of faith or morals, is an infallible dogma, under the ordinary and universal Magisterium. Therefore, Shea is implying that his claim, about the molecules remaining the same, is a dogma of the Magisterium. If so, then to deny it would be heresy. Fortunately, the Church has NEVER taught such an idea. Did Jesus teach that the molecules remain the same? No. Did the early Church Fathers teach this idea? No. Have any Saints or Doctors taught this foolishness? No. Has the Magisterium, infallibly or non-infallibly, taught such a thing? No. Therefore, this idea has not been “always taught” by the Church. Does Shea supply any proof or support for his assertion that the Church has always taught this idea about the molecules of the Eucharist? Not at all. Why would he? 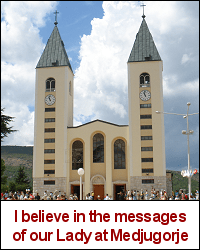 He simply tells his readers to believe that his idea is infallible Church teaching, and they believe it. In effect, Shea (and many other Catholic bloggers) are issuing ‘personal dogmas’, to which their readers then adhere, without any involvement of those pesky and inconvenient sources of truth, called Tradition, Scripture, and the Magisterium. There are many such false teachers, who assert that their own erroneous, ignorant, foolish, even heretical ideas are the teaching of the Church, without any substantial basis or sound theological argument. And their readers accept it without question, and even praise them for (supposedly) making the Church’s teaching so clear and easy to understand. If any priest were to adhere to Shea’s heresy on the Eucharist, would he validly consecrate the Eucharist? Perhaps the consecration would still be valid, if his misunderstanding were mere material heresy, that is to say, if he still believed that the consecration involved a change of substance, but he considered that the molecules do not change, because he misunderstood what accidents and substance mean. Otherwise, the priest would be denying the change of substance, and therefore would not consecrate validly. So this heresy is somewhat different than Akin’s heresy. For Akin’s claim openly states that the substances do not change, whereas Shea’s claim only implies the substances do not change. No priest who adheres to Akin’s error can validly consecrate the Eucharist. But with Shea’s error, the consecration would be valid, if the priest does not realize that adhering to the error implies that the substances do not change. Shea himself does not seem to realize this implied conclusion. So Shea’s error is mere material heresy. Akin’s heresy is formal heresy, because he openly and knowingly contradicts the teaching of the Council of Trent. Akin is automatically excommunicated for formal heresy, as are all priests who adhere to his teaching. Shea apparently is not. Shea’s blog is here. So far, we have discussed three heresies on the Eucharist: (1) the popular idea that the consecrated bread and wine are mere symbols, (2) Akin’s dual heresy denying the change of substance and denying concomitancy, (3) Shea’s implied heresy on accidents and substance. But, so far, we have not discussed any particular priest who adheres to any of these heresies. IF a priest were to adhere to any of these heresies, knowingly, THEN his consecration would be invalid. But now we come to the case of an actual Catholic priest, who uses his blog to teach numerous heresies and absurdities, including several ‘personal dogmas’ (ideas on faith or morals that he claims are absolutely certain, despite not having been taught by the Magisterium at all). His errors include assertions about the Eucharist which, like Shea’s error, imply heresy. This priest apparently does not realize that his errors on the Eucharist imply a denial of the Real Presence of Christ, and so his consecration of the Eucharist is probably valid. Similarly, despite his grave errors on the Sacrament of Confession, his absolutions are probably valid. In any case, it is best not to receive any Sacraments or advice from any priest who openly teaches numerous grave doctrinal errors. What does Fr. Ryan claim about the Eucharist? He says that Christ is not “physically present” in the Eucharist, that “Christ is not LOCALLY PRESENT in the Eucharist,” [his emphasis, not mine] that Christ is not “present in multiple locations at once” (in the hosts and tabernacles of the world), that it is an error to speak as if “the presence of Christ were physical.” My reply to this type of claim about the presence of Christ is here. Fr. Ryan cites a book of interview questions and answers with Joseph Ratzinger (written before he became Pope Benedict XVI), to try to support his claims; but the Pontiff, even in these pre-papal and non-magisterial remarks, does not say what Erlenbush says. The teaching of the Church is that Christ is present in the Eucharist, in each and every host, in all the tabernacles of the world, with His whole human nature, including the physical part of His human nature (body, blood) and the spiritual part of His human nature (soul), and His Divine Nature. 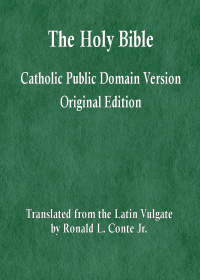 Although the faithful can speculate to a significant extent about this mysterious mode of presence, we cannot faithfully say that Christ is not “physically present” AND “not locally present” AND not “present in multiple locations at once” in all the tabernacles of the world, without implying an heretical denial or an heretical obstinate doubt about the dogma of the Real Presence of Christ in the Eucharist. IF Fr. Ryan truly believes that Christ is not physically present in the Eucharist, AND not locally present in the Eucharist, AND not present in multiple locations in all the hosts and tabernacles of the world, THEN he in effect denies the dogma of the Real Presence, and so the validity of his consecrations of the Eucharist becomes questionable. Fr. Ryan seems to realize this problem, that he cannot deny the presence of Christ’s physical body and blood, and so he parses his position in this way: “while we must admit that the body of Christ is present in its ‘physical reality’ (i.e. the inner dimensive extension), we ought not claim that this body is ‘physically present’.” But in my view, this statement is not sufficient to keep him from substantially undermining the dogma of the Real Presence. For there is no way to deny physical presence while affirming the presence of a physical reality. It is a contradictory pair of assertions. Fr. Ryan also asserts that Christ is sacramentally present in the Eucharist. But when one removes, from the meaning of the term ‘sacramentally present’, all references to physical presence, and local presence, and presence in multiple places at the same time in all consecrated hosts, the term becomes a hollow shell. It becomes a term with an inherent contradiction: saying that the real presence of Christ includes His physical body and blood, but also saying that this physical part of Christ’s human nature is not physically present. Erlenbush goes so far as to claim that Christ’s body is only physically present in Heaven, and not also, at the same time, physically present in all the hosts and tabernacles of the world (but present in some other way). He goes so far as to assert his personal dogma that the Church will never, at any time in the future, teach that Christ is physically present in the Eucharist. No future Pope or Council would dare to contradict him, apparently. Fr. Ryan can’t figure out how Christ could be physically present in more than one location at the same time; it does not stand to his reason, for he says: “No material body can be present in two places at the same time.” In effect, he is rejecting the idea that God can accomplish miracles in ways utterly beyond our understanding. If he cannot understand how God can accomplish something, then it must be impossible for God. I’m not exaggerating. Fr. Ryan goes so far as to claim that Jesus could not, after His Resurrection, appear in two places at the same time, nor could He be present in one place, and then suddenly be present in another place. Instead, he claims that Jesus “entered into the locked room by walking through the walls”, that Jesus vanished by making Himself unable to be seen by the disciples, and that Jesus could “move extremely fast” from place to place. He utterly rejects the idea that Jesus could move instantly from one place to another by a miracle, or that He could miraculously be in more than one place at the same time. He denies that such miracles are even possible. And this denial of miracles that contradict his own reasonings extends even to the Eucharist. Fr. Ryan cannot understand HOW Christ could be physically present in more than one location at the same time, so he concludes that Christ CANNOT do so, even miraculously. How can Christ be physically present in all the consecrated hosts of the world as well as in Heaven at the same time? He is able; it is fitting; therefore, he does so. Perhaps Fr. Ryan’s assertions on the “physical reality” and “sacramental presence” of Christ in the Eucharist are sufficient to make his consecrations of the Eucharist valid. For like Mark Shea, he at least does not realize that his claims imply a denial of dogma. But how could a Catholic priest be so arrogant as to publicly teach ideas that would in any way undermine, or seem to contradict, the teaching of the Magisterium on a Sacrament? I don’t know. But this is not the only Sacrament that Fr. Ryan Erlenbush has undermined with his online postings and commentary. He also teaches grave errors on Baptism, on the Anointing of the Sick, and on Confession. Fr. Ryan’s blog is here. And no one can correct him. For he does not teach from Sacred Tradition, Sacred Scripture, and the Magisterium, but from his own mind and his own misinterpretations. Therefore, no theological argument (however firmly based on Tradition, Scripture, Magisterium) seems compelling to him in the face of his own ideas. So it is with Akin and with many other teachers of heresy. They teach whatever pleases them. It is the idolatry of one’s own ideas. These heretics have no sound theological argument to support their claims. They contradict Tradition, Scripture, Magisterium. They do grave harm to the Sacraments, to faith and morals, and to the Church. And their readers are happy to support and praise them.